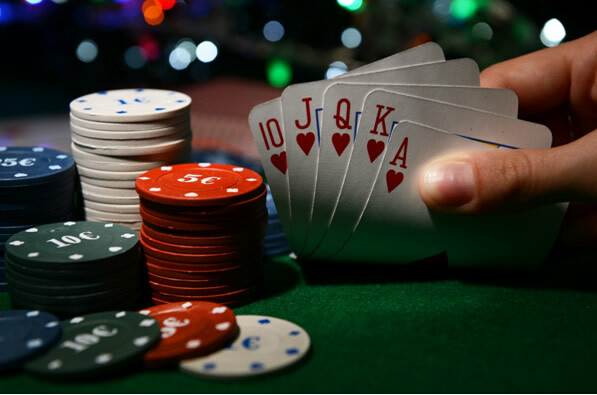 Poker, in particular Texas Hold’em, is one of the most popular casino games available, and it is played by many people across the globe, from amateurs to professionals. If you want to be a success in the world of poker, it is always beneficial to understand exactly what you’re doing and having a good understanding of the hands, particularly those that are the strongest is a great way to avoid amateur mistakes. Sometimes you may feel like you need to go to a poker school in order to become good at the game, but fear not, this guide will help you to understand every single hand in the game to increase your chances of success. The simplest way to win is by having the highest card. Say, for example, you are dealt A5, and a 3, 7, 8, J and Q come up on the table. After all the betting is complete, both you and your opponents show your cards and there are no pairs, no straights, no three of a kinds and no flushes, the person with the highest card wins. With an ace in your hand, you can’t be beaten by a higher card. The second lowest hand to win with, one pair is precisely as it seems. This could be one pair between either the cards you have in your hand, the five dealt on the table, or one from your hand and one from the table. If more than one player has a pair, whoever has the highest pair wins. As expected, a two pair is when a player has two cards of matching rank, plus another two of another rank. The player with the highest pair wins; if the highest pair are equal, then it is the player with the second highest pair who wins. This hand consists of three cards of a matching rank. As with pairs, it is the player with the highest ranking three of a kind who wins when there is a tie. When a player has five cards that are in consecutive rank order, they have a straight. The player with the highest ranking card in the straight wins. In straights, an ace can be used as either a high card or a low card, meaning they can be part of an A, 2, 3, 4, 5 straight and a 10, J, Q, K, A straight. When the player can make a hand consisting of five cards of the same suit, they have a flush. When two players have a flush, the person with the highest card of that suit wins. This hand is a combination of a pair and three of a kind. The player has a hand consisting of three cards of matching rank and two cards of a different matching rank. The player with the highest three matching cards wins in the event of a tie and if both players have the same three matching cards, the highest pair wins. Four cards of a matching rank complete a four of a kind hand. If all four are drawn on the table, then it is the player with the highest ‘kicker’ who wins. A mixture of a straight and a flush, a straight flush is a hand that consists of five cards of matching suits in consecutive rank order. As with any straight and flush hands, it is the players with the highest card in that combination that wins. A player who has 10, J, Q, K, A all of the same suit has a royal flush. This hand is the best you can get, so if you have it, you cannot lose.